Flinn scholars are chosen based on merit and receive more than $115,000 to use towards tuition, room and board, and study abroad expenses. They also get support for off-campus internships and are paired with faculty mentors. The Flinn scholars coming to ASU will attend Barrett, the Honors College. Zheng’s passion for (and early foray into) medicine is not the only thing that caught the attention of the Flinn Foundation — or, for that matter, the attention of Yale, NYU, the University of Chicago and Rice, some of the other schools to which she was accepted. The high school senior has composed three full orchestral pieces working with the Tucson Symphony Orchestra (“I play the piano, but I can compose for basically the whole orchestra.”) and is active in the Women’s Foundation of Southern Arizona and has been involved with the Metropolitan Education Commission since the seventh grade. She’s not alone in her exceptionalism. One of her future classmates is Yisha Ng, who has been hooked on space as a result, at least in part, of growing up near the Lowell Observatory in Flagstaff. She wants to work in space exploration — whether it’s NASA or one of the other new space-based companies that have appeared in recent years. “But NASA is my dream job,” she said. She has chosen ASU to help her get there. She’ll enroll this fall as an aerospace engineering student. She may have a little bit of a head start, having built a rocket (picture left) as part of a capstone project in high school. She also plays violin, earned a black belt in a Hawaiian mixed martial art called kajukenbo, and switched to diving after an injury sidelined her from gymnastics — getting her high school to reinstate its diving program in the process. She also helped resurrect her school's speech and debate team and travels next week to a national tournament. This year’s Flinn class at ASU also includes future astrophysicists, high-level accountants and musical theater majors like Vaibu Mohan. She’s finishing up her senior year at the BASIS Scottsdale high school, a charter school focused on the STEM disciplines. And although her school has had an intense focus on science, technology, engineering and math, Mohan has continued to grow her love of the arts, founding the school’s first a cappella club, becoming an accomplished violinist, and performing and teaching Indian classical dance. Mohan chose ASU because she’ll be able to be “completely immersed in this wonderful performing arts program while also being a business major,” something that other schools to which she was accepted would not have made so easy. 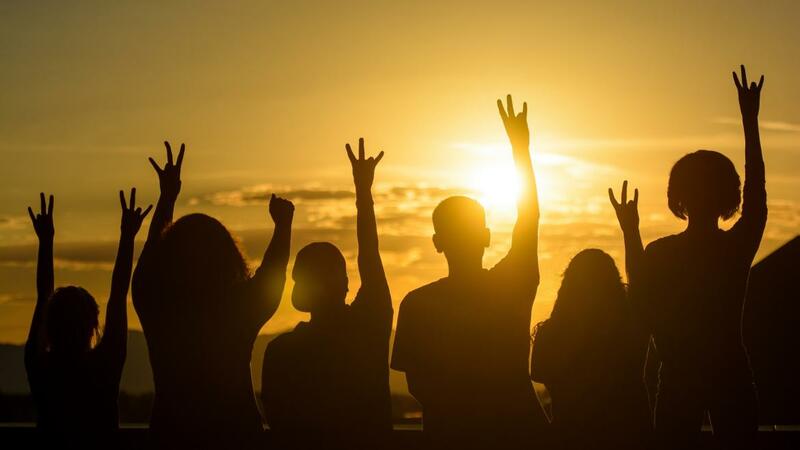 “The other schools are fantastic, but none of the other programs had the ‘anything you want, anything you need, and it’s here for you to use’ mentality here at ASU,” she said. Mohan hopes to someday open and run her own theater company that tailors to performers of color, like her. Many of the incoming Flinn scholars share a desire to make the world better for those around them. Martín Blair spent a portion of his high school career getting his classmates and teachers excited about sustainable transportation — like carpooling and riding bikes to school or work. But he took it a step further. Blair, a rock climber, snowboarder, surfer, archer and Eagle Scout, will study to be a mechanical engineer in the Ira A. Fulton Schools of Engineering, which he hopes will lead to further work as a systems engineer. A lofty goal, but he and his Flinn cohort see ASU as a good place to start. Rohini Nott, currently at BASIS Chandler, will major in biology and society in the School of Life Sciences. Cameron Carver at Sabino High School in Tucson will be a mechanical engineering student in the Fulton Schools. Anagha Deshpande, currently at Hamilton High School in Chandler, will study genetics, cell and developmental biology as a biological sciences major in the School of Life Sciences. Andrew Roberts will study electrical engineering in the Fulton Schools. He’s finishing up at Westwood High School. Margaret “Maggie” Zheng will study biomedical sciences in the School of Life Sciences. She attends University High School in Tucson. Yisha Ng wants to be an aerospace engineer. She’ll study in the Fulton Schools. She’s currently at Flagstaff High School. Enrique Favaro, in high school at the Tempe Preparatory Academy, is going into accountancy at the W. P. Carey School of Business. Vaibu Mohan, focusing on the STEM subjects at BASIS Scottsdale, will immerse herself in performance and musical theater in the Herberger Institute for Design and the Arts.